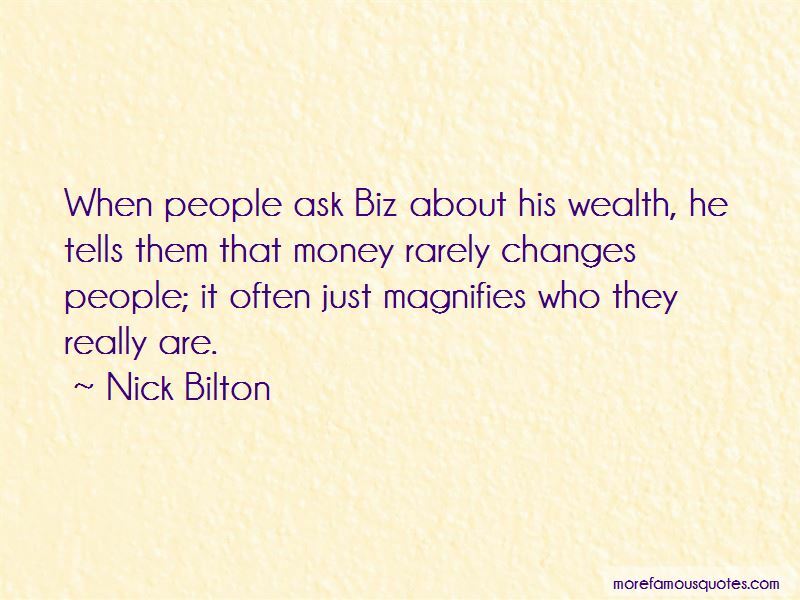 Enjoy the top 20 famous quotes, sayings and quotations by Nick Bilton. “So, your kids must love the iPad?" I asked Mr. [Steve] Jobs, trying to change the subject. The company's first tablet was just hitting the shelves. "They haven't used it," he told me. "We limit how much technology our kids use at home." Some people are destined for greatness; others fall up a hill to get there. Fred wasn't convinced, telling Charlie that such a service would never work and that other companies that had tried to make Twitter-like products had all failed. This status thing could help connect people to those who weren't there. It wasn't just about sharing what kind of music you were listening to or where you were at that moment; it was about connecting people and making them feel less alone. It could be a technology that would erase a feeling that an entire generation felt while staring into their computer screens. An emotion that Noah and Jack and Biz and Ev had grown up feeling, finding solace in a monitor. An emotion that Noah felt night after night as his marriage and company fell apart: loneliness. Then, as she turned to walk away, Fred dropped the guillotine. "So we're making Ev CEO," he said, his fork clenched in his hand. "You're going to get a passive chairman role and a silent board seat. We have some paperwork for you and a recommendation for a lawyer. 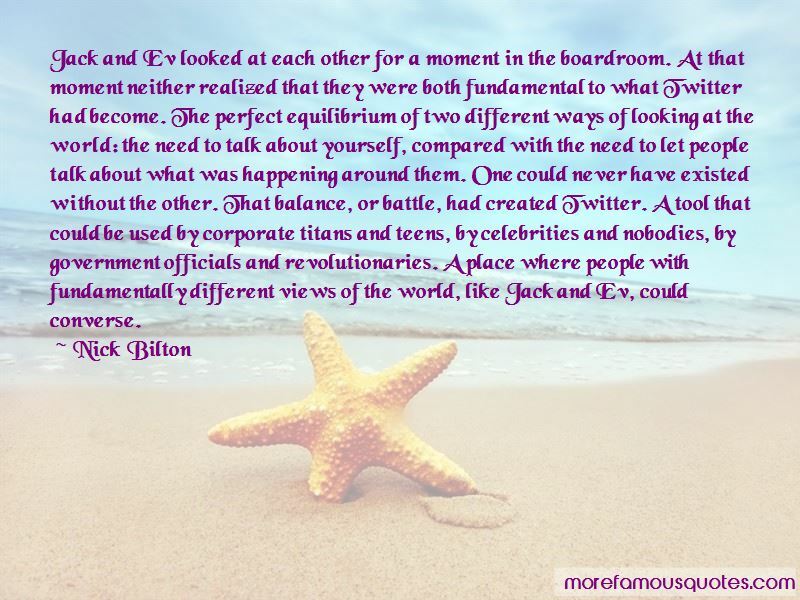 "Jack felt like he had just been hit in the face with a baseball bat. "Say that again," he stuttered to Fred, thinking he had heard incorrectly.Fred repeated himself almost verbatim: We're making Ev CEO. You're getting a passive chairman role. You will have a silent board seat. Here's the paperwork. Call a lawyer. 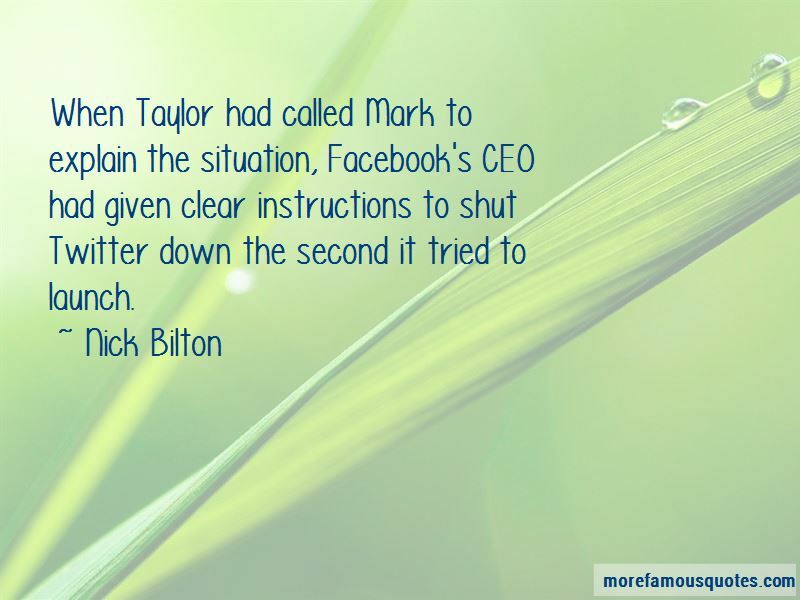 Want to see more pictures of Nick Bilton quotes? 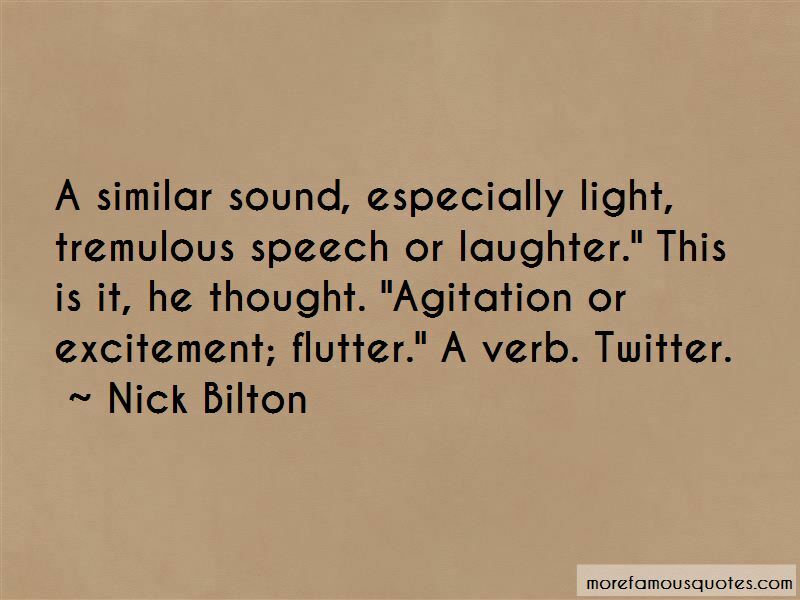 Click on image of Nick Bilton quotes to view full size.